Pick up enough containers to get you (and the fam) through for no more than two days. When you feel confident prepping for two days, then move on to three, then four, then your whole week. Like anything, food prep is a learning experience and a process! 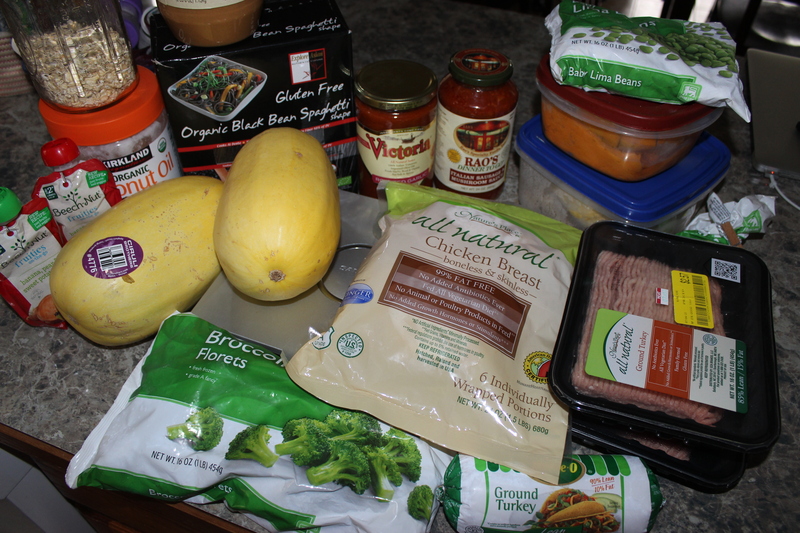 So you want to start food prepping but you’re not so sure where to begin? The thought of trying to prep breakfast, lunch, and dinner for an entire week, plus snacks, leave you feeling stressed out and anxious? I get it. The first time I ever food prepped, I spent over eight hours on a Sunday trying to get ready five breakfast sandwiches, five salads (with everything you could possibly put on a salad) five dinners, and at least 10 or more snacks. By the end of the day I was exhausted and by the end of the week, my salads were soggy. I remember thinking, “How do people do anything else on food prep days, and how do you do this for a whole family?” I can’t even imagine trying to food prep that much for a family and even with kids running around, probably trying to take care of everyone, fix meals for THAT day, and take care of everything else that goes on within a day. 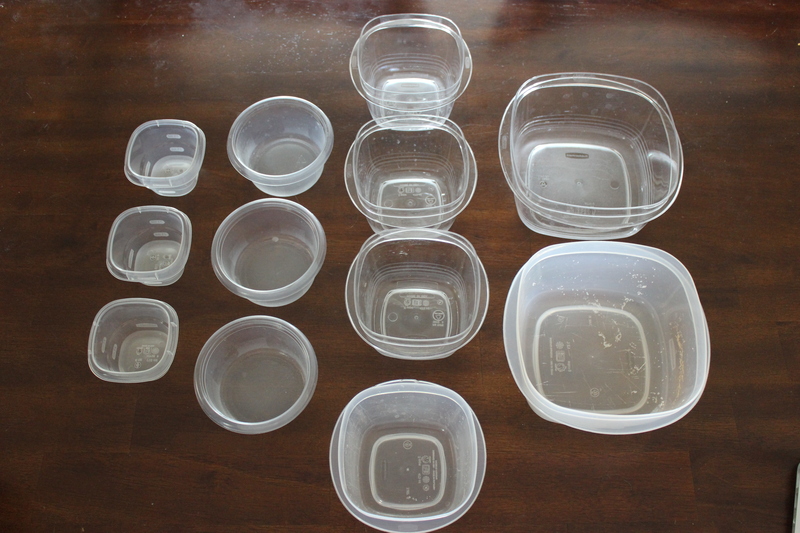 Food prep should make your life easier and the act of food prep shouldn’t be any different. I learned this the hard way, but so it goes for the theme of my life–Steph always learns the hard way. That’s why I’m always telling you guys what to and what NOT to do. So you’re going to start out small. 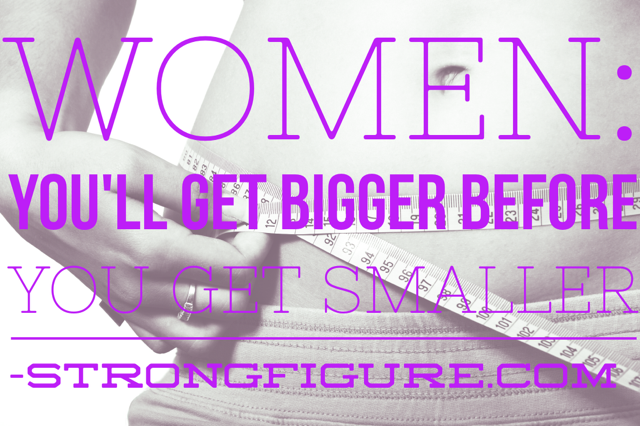 Start with no more than TWO days of food prep, and no more than TWO meals and ONE snack. Know what you need ahead of time and stick to your list! Buy items that you can use in more than one dish to save time and money! 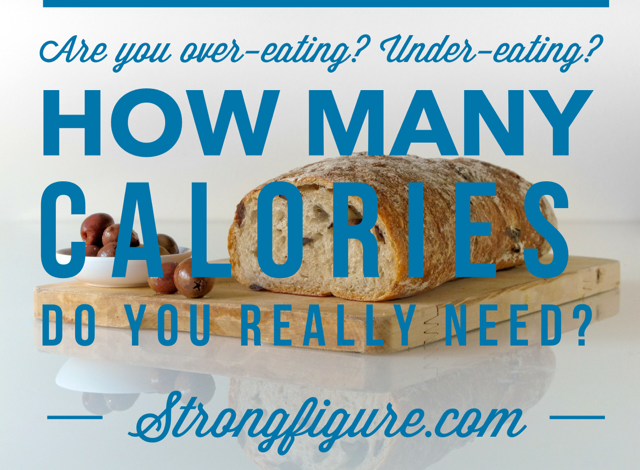 You and your family will need to eat protein, carbs, and fats–your three macronutrients. You also need vitamins and minerals, or micronutrients–mostly from veggie sources. You need at the least, lunch and dinner plans, and containers. 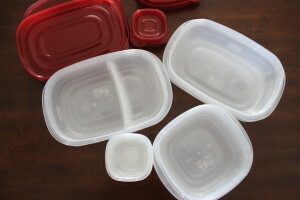 If you’re starting small–as we suggest–pick up at least four-six medium sized Rubbermaid (or whatever brand you like) containers and a couple smaller ones for snacks. Make your list. If you’re prepping for more than yourself start off with foods your whole family enjoys. Let’s say you want taco salads for lunch and spaghetti squash for dinner. 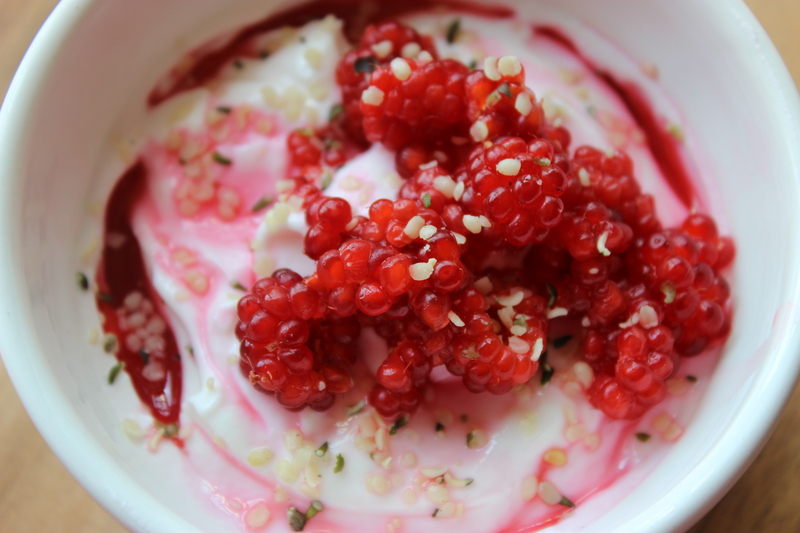 Maybe you enjoy a Greek yogurt with berries for a snack, but someone else likes hard boiled eggs, cheese, nuts, fruit. That’s awesome! These are perfect snacks. Make a list of all the ingredients you’ll need for these lunches and dinners and throw in something simple for breakfast like a bowl of cottage cheese with pineapple–something healthy that’s easy, your family enjoys, and won’t stress you out. 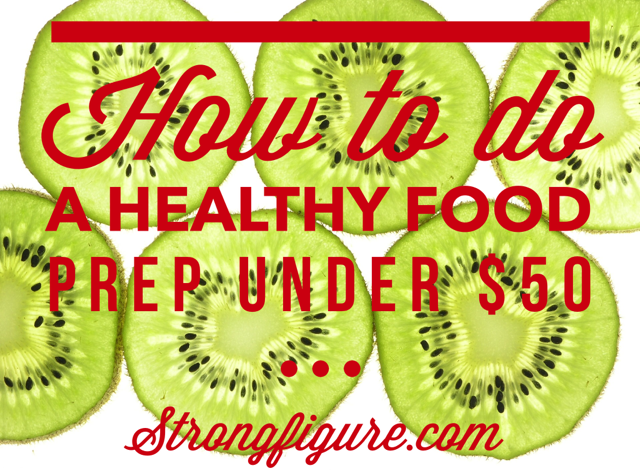 It should be healthy, but if you’re new to food prep and whole food shopping, it’s ok to take things step by step. Don’t stress over breakfast yet, just focus on lunches and dinners. Set out your containers and have them ready to fill! You can do this a couple different ways. 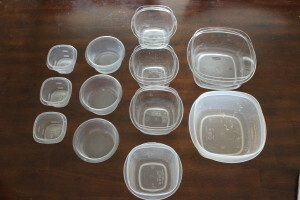 Make a full meal and portion out the meal separately (like a whole spaghetti squash dish can be portioned out into several containers) OR you can put veggies in one container, meat in another, sauces/condiments/toppings in a third, and you can make your meals from these containers throughout the week. BONUS TIP on shopping and prepping: If you (or your family) isn’t picky about variety, you could make things even simpler by having the same meal for lunch and dinner, and varying your snacks. This would make food prep SUPER simple, but would only work if you and your family didn’t mind eating the same meal twice for a couple of days. Cook the food that takes the longest, first. And if you can combine things in the oven, go for it! The spaghetti squash is going to take 45 minutes in the oven, so pop that sucker in and set your timer. While the spaghetti squash is cooking, attack the meats. I love ground turkey. If you get two packs of ground turkey you can divide it up between both the taco salads and the spaghetti squash and save cooking time rather than cooking two separate meats. However, if you prefer variety, put turkey in one skillet, beef in another. Season your turkey with taco seasoning, and pour your spaghetti sauce over the beef when it’s done. This is also a good time to boil your eggs for hard boiled egg snacking. While the meats and eggs are cooking, take out your tupperware containers and start your salads. Steam your cauliflower in the microwave or cook the rice. Chop up the Romaine and toss the lettuce into the containers. Add your (rinsed) black beans, cauliflower/rice, shredded cheese, really whatever you want in a taco salad. When your meat is done and it has cooled down, portion it into the containers and top with salsa and avocado. Toss into the fridge. If you don’t want your lettuce soggy, put your lettuce into one container and everything else into another. If you don’t want your avocado to turn brown, squeeze a lime over your taco salad OR wait and add the avocado when you’re ready to eat. By the time you have your taco salads done, your eggs will be ready. Let them cool and store them in the fridge. All you have to do for snacking on those is to pack them in your lunch with a string cheese and a handful of almonds. Your spaghetti squash may be done by now. Take it out of the oven and let it cool. Take out your snack containers and put some Greek yogurt in each one. Throw a handful of blueberries (or whatever berry you prefer) into the container and you’re done. If you’re still new to the taste of plain Greek yogurt, drizzle a teaspoon of honey over your dish. Steam some asparagus (or your favorite green veggie) in the microwave and divide up your spaghetti squash into containers. Top the squash with your meat sauce you already made, add that side veggie, and you’re done. OVEN: Poke holes in the squash and cook on 400 for 45 minutes. When done and completely cooled, cut the squash in half, remove the inside seeds and pull the noodles out with a fork. 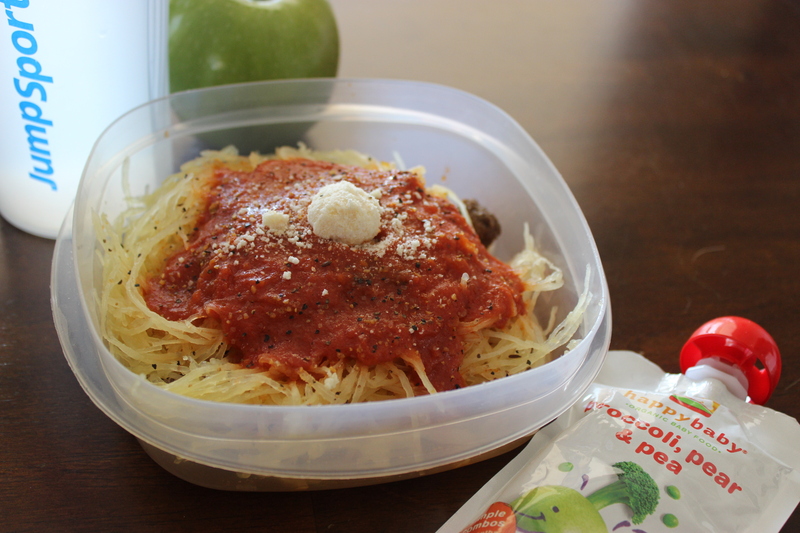 MICROWAVE: Cut a spaghetti squash in half and remove the inside seeds. Place it on a microwave safe dish and cook for about 12 minutes, or until tender. Let cool, and then remove spaghetti with a fork. 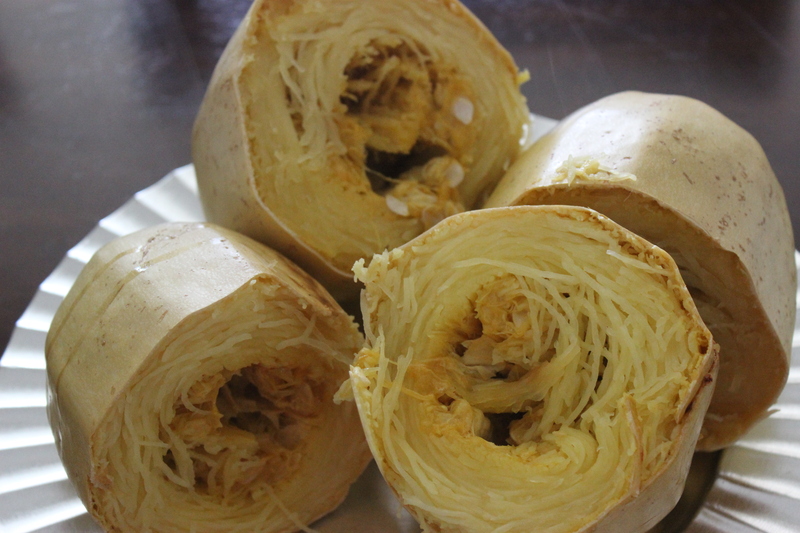 CROCKPOT: Cut a spaghetti squash in half and remove the inside seeds. Place it face down in the crockpot. Add a few chicken breasts, and pour a jar of spaghetti sauce over top the chicken and squash. Cook on low for about 5 hours or until the chicken is done and the squash is tender. Remove the squash when finished and use a fork to pull the noodles out of the shell and add back to the chicken and sauce. Divide into your storage containers and you’re done! Remember that you’re not worrying about breakfast or other snacks yet–you can make these daily as you go, while you’re getting better at food prep. Only when you feel like you’ve mastered the lunch and dinner prep should you start adding breakfast to the mix! 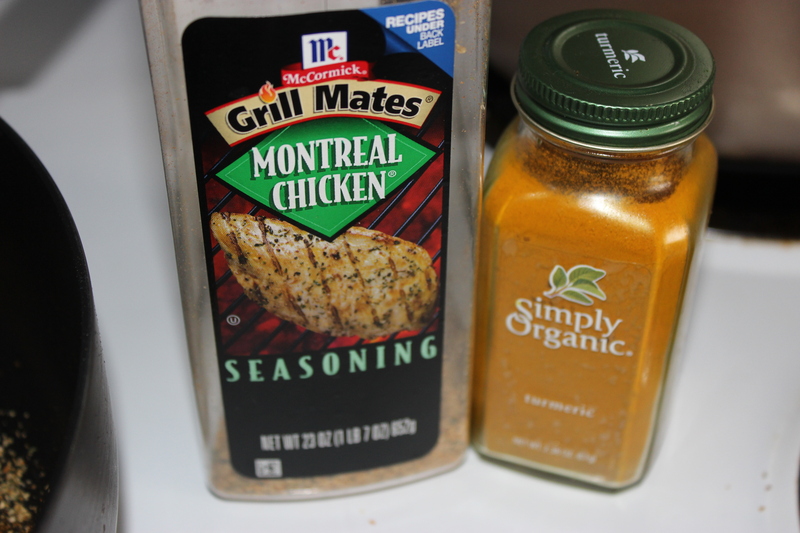 Two of my favorite seasonings, Turmeric which is an amazing antioxidant fighter and Montreal Chicken or Steak Seasonings which just makes everything tastes awesome. You can add whatever seasonings you like to any of your dishes. 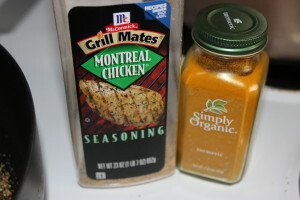 I keep taco seasoning, Montreal Steak Seasoning, Greek seasoning mixes, and Garlic on hand at all times. I add them to my dishes when I want to. 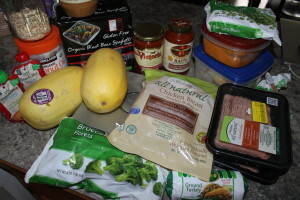 I also keep Parmesan cheese in the fridge for my spaghetti squash, and salsa makes a great topping for a variety of meats and foods. It may take you longer than you want the first time you food prep–even if you only start with a couple of days and especially if you’re prepping for more than one person. But if you do it once, odds are that you’ll do it again, you will learn a LOT in the process–what works for you, what doesn’t–and you’ll get much better, and much faster. I stick with foods that I love, foods that are simple, and foods that make me happy. I don’t prep foods that I do not look forward to–I enjoy eating! 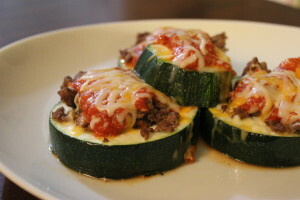 These zucchini pizzas not only made an awesome and quick dinner, but were great leftover snacks. One zucchini, some ground beef, cheese, and pizza sauce were all I used. Broil the zucchini about 5 or so minutes on each side with some olive oil while you cook the beef. Then throw all the toppings on the zucchini and bake again until the cheese melts. The biggest complaint I hear about food prep (other than time and not knowing where to start) is snacking. 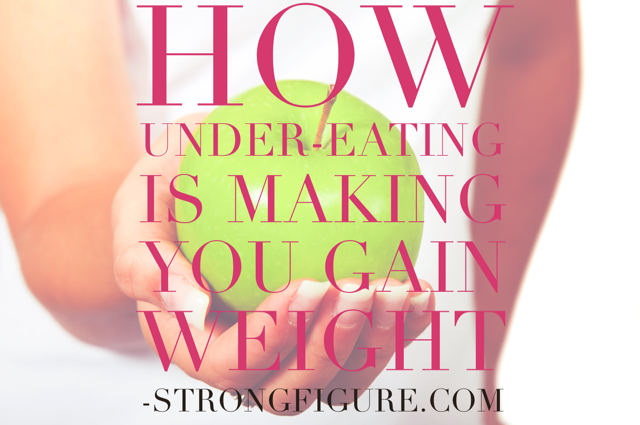 Why is healthy snacking so hard? 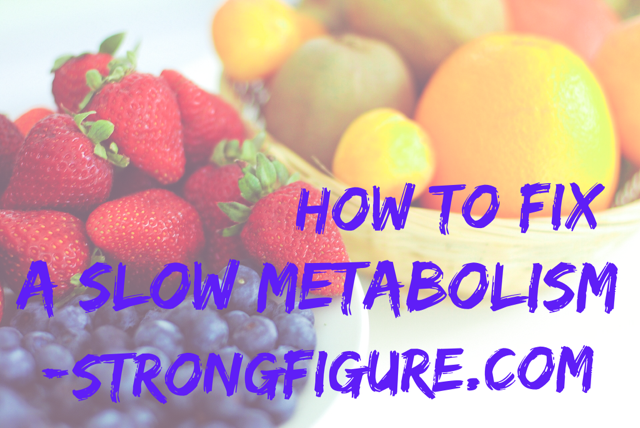 I listed a few of my favorite options above–yogurt, fruit, eggs, nuts–but what if you don’t like these or get bored of them? You can make mini meals. If you’re like me and you LOVE spaghetti squash, who says you can’t make a smaller portion size for snacks? Sometimes I make zucchini noodles and toss with sauce and meat and make a smaller snack-size meal from this and it’s slightly different because I changed the noodle. I’ve been known to make lettuce wraps as snacks–wrap some meat, cheese, hummus inside Romaine and eat that on the go–it’s awesome! So if snacking stumps you, think about some of your favorite meals and see if you can turn them into mini snacks. This also works well with left overs! Pack them up and make mini meals from the weekend’s leftover foods! Erik and I are working on putting together a course on food prep. What are your questions that you would like to see answered in this course designed just for you?? Comment below! 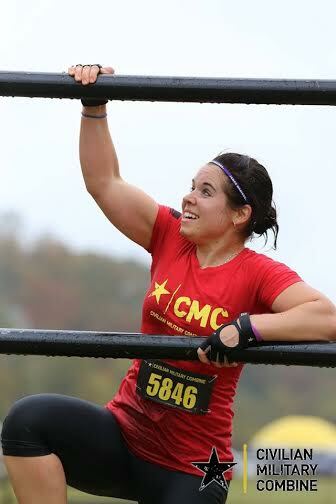 If you don’t have access to equipment, you can substitute body weight movements like lunges, squats, push-ups, sit-ups, high knees, jumping jacks, mountain climbers, V-ups, hollow rocks/holds, bridges, etc., for the movements that require weight. 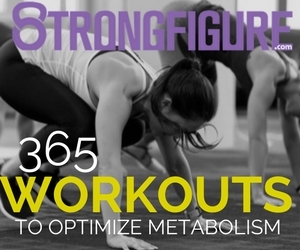 Keep the workout challenging–pick exercises you know are tough for you! That’s a great indicator that those are what you really need!